Q. 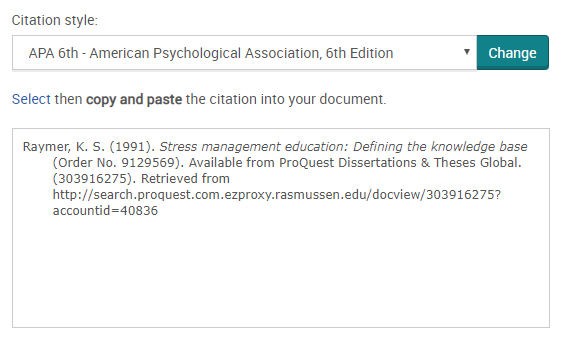 Where are the ready-made APA citations in the EBSCO and ProQuest databases to copy and paste into NoodleTools? Do a search and get a results list. Click on the title of the article you are interested in. 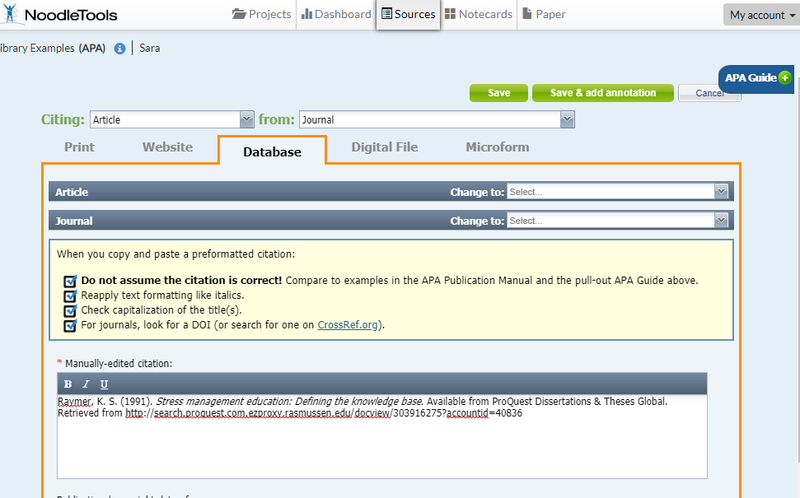 Correct parts that need to be corrected, add information if it needs to be added. Note: check that all authors are listed and not just the first author. Note: check capitalization of article title. Only the first word and proper nouns should be capitalized.